It's exciting to see Amara Por Dios pushing herself. Over a short trip to Malmö, she completed this wall in a warehouse in five days. This marks her largest mural to date! Photos via Amara Por Dios. After the success of his first international show in 2011 in Uppsala, Sweden, Infamous JeanClaude has returned to collaborate again with Swedish artist Amara Por Dios and to show new works, this time in Stockholm. His show, "Insomnia Hut: I'll Sleep Tomorrow," opens this Friday at Skank Street Wear Boutique, where Amara has previously painted murals and shown her work. "INSOMNIA HUT: I'LL SLEEP TOMORROW"
For inquiries about available art work, please contact info@liftedlab.com. 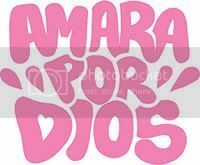 Amara Por Dios has been creating new works for her upcoming solo show at Skank Street Wear Boutique in Stockholm. She's always in beast mode, so it's nice to see a reflection of all her hard work at one time, in one place. If you're in the Stockholm area, support Amara on March 15th for the opening of her show. AMARA POR DIOS is opening her new show this weekend in Gothenburg, Sweden. We've been keeping tabs on her progress, hustle, and development of style this year and are anticipating seeing this show come together. The colors and characters have truly been popping in her recent work-in- progress photos. This will be her first solo show of the year and opens officially Saturday, June 9 at Urban Artroom. Last September at our Road To Sweden Fundraiser Series in Brooklyn, we teamed up with Reconstvct, Bassfaced, TheLoveInUs, Cloud Instrumentals, and others to host some dope parties all in the name of Infamous JeanClaude. He had just booked his first International art show in Uppsala, Sweden and we were determined to help him be there in the flesh for this experience. All events were held at a bar/Thai restaurant/music venue/art space/large-and-in-charge Bushwick building called The Morgan. The week-long series was a success, raising enough money to ensure that the JeanClaude art show was going down. 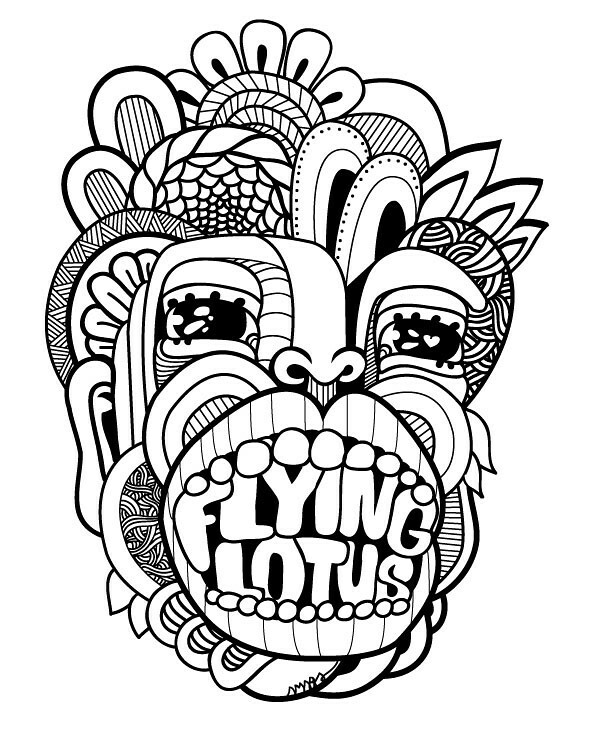 Music from Obey City, Flatbush Zombies, and Illustrate. TheLoveInUs brings a lively crew and had support coming through from all corners of Brooklyn and even from Baltimore. Fun show...loud show...crude creative zealots spitting hot fire. And now, we've seen all kinds of hype for the recently released "Thug Waffle" video from the The Flatbush Zombies. Everyone from Complex to The Fader to Lana Del Rey has something to say. Big up Flatbush Zombies and Eric Arc Elliot! Reconstrvct is bi-monthly bass music event in Brooklyn, instituted by some very passionate bassheads for the purpose of keeping the scene alive after Dub War NYC ("the first dubstep party in America") came to an end. The Reconstrvct resurrection proved to be destined for greatness as people started pouring in early on the evening of September 24, in time to catch our Preconstrvct event held from 7:00-9:00pm in the basement of The Morgan. DJ Neil Nice of Turntable Lab NY was kind enough to come through and drop some foundational dub tunes, a proper intro for the ears and mind before a dubstep show! Peeps that came out for Reonstrvct and Preconstrvct got a true treat, as there was also a massive collection of art shipped straight from the UK, all correlating with the roots of the bass music and dubstep scene. This installation was titled "Sub Culture: Visions of Sound" and was displayed in the basement and upstairs art space along with Infamous JeanClaude's work. Music from Joe Nice, Bun Zer0, Tunnidge, True Nature, and others lasted 'til the early morning. This event was a living experiment/showcase of the past, present, and future of music x art. For the last day of the Road To Sweden installation, we asked Cloud Beats to come in and play a live set with some instrumental creations. This made for a perfect environment to ease into, observe some art and chill out. Cloud keeps on the low around Brooklyn, but he's letting himself be know in other ways. Tunes and videos drop steady on the web, while he twerks his record label, Machine Romantic and also plays in his band, Casiorossi. Spazecraft and crew came through after an afternoon of painting their rooftop across the way in Bushwick. Good looking out from Soh Nup Ink! WOW. Quite a recap and quite a week we had up in Brooklyn last Fall. Pretty amazing how this helped build up to the "Soulful Madness" show in Sweden! Without all the folks who contributed in some way, whether in presence or creativity, this wouldn't have been possible. Thank you. Bassfaced, Reconstrvct, TheLoveInUs, Flatbush Zombies, Obey City, Flash Frequency, Illustrate, Cloud, Kaya, Bailey Carr, Neil Nice, The Morgan, Spazecraft, Joe Nice, Bad Pedestrian and Elm and Oak. After connecting with Swedish artist Amara Por Dios at the Soulful Madness show, we've decided to keep tabs. "Up-and-coming" is an understatement, because this chick is guaranteed to blow UP! She's got everything going for her: a few shows under her belt, a style of painting and illustration becoming more defined each day, clothing line in the works, designs for Flying Lotus, and creative drive that is determining her future as a M.O.B. We see many beautiful things on the horizon for you, Amara! Tomorrow Amara will feature some new pieces in an all-female art show opening in Gothenburg, Sweden at the Urban Artroom. We're looking forward to seeing the new new and we hope to work with Amara in the US this year! While we were in Sweden last month, we had to opportunity to join a group that works on a project called Open Book. Each week in Stockholm, this assembly of artists, cartoonists, graffiti writers, and randoms gathers at local restaurant/bar for drinks and doodles. They grab a large table, with extra seats for curious drop-ins, and get to work, passing around several semi-filled black books. The idea is to doodle intuitively for about a minute, then pass it to the next person. Everyone draws in pencil, anyone can erase lines, and at the end of the night, you end up with some pretty interesting combos. For months, this process continues until books fill up and are then edited, colored, and published. The final product is funky and fun to flip through! 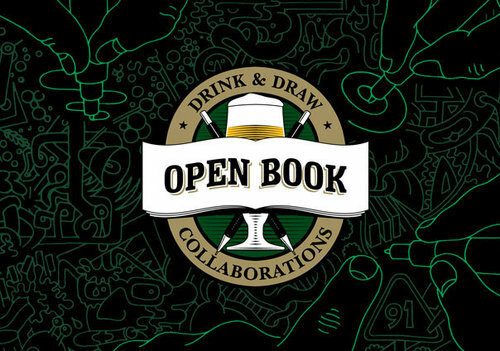 The Open Book concept also takes place in London, Barcelona, and Amsterdam. Published copies of the book may be purchased through Dokument Press with worldwide shipping available. Soulful Madness opened with a record-breaking crowd this weekend in Uppsala. This traditional Swedish town has never seen a contemporary art show quite like this before, and people are really digging it. This was also the first time for Galleri Diana to have a live DJ at an opening, so the vibe was extra lively as people flowed in, drinks poured out, and pieces were bought up! Infamous JeanClaude received a warm welcome for his first international show, and Amara Por Dios proved to be a local favorite. Both artists exhibited pieces showing growth into their unique, yet complimentary styles of illustration and painting. The show remains on display at Galleri Diana until December 17. Congrats Amara and G! Coming soon: Lifted Lab Podcast: Volume 1 with interviews from both artists. We are very excited to be supporting Infamous JeanClaude for his first international art show, taking place in Uppsala, Sweden this Saturday. Since beginning our relationship with Infamous JeanClaude, he has excelled from recent SCAD graduate to a well-traveled, prolific up-and-comer whose skills encompass illustration, fine art, graphic design, typography, and more. The "Soulful Maddness" show is a collaboration between Charlotte-based Infamous JeanClaude and emerging Swedish illustrator and painter, Amara Por Dios. The two artists connected through Twitter earlier this year and have been exchanging ideas for this exhibit since. Together, their vibrant, urban-inspired pieces will create a bold, yet warm environment full of playful symbolism and characters that reflect our generation's perspective. This will be the first collaboration and meeting between the two artists. Step inside as worlds collide. For the past few months, INFAMOUS JEANCLAUDE has been raising awareness about his Kickstarter fundraiser for Sweden. His collaboration show with Amara Por Dios, "Soulful Madness," opens in December, and JeanClaude set a $3,000 funding goal to ensure he could ship his art and fly over for the installation and showing. This goal was still short on the final day, but through a few of big-hearted patrons, the final goal was reached and even surpassed by the end. We want to say thank you to those who donated and spread the word. This show is going to be massive and there is no doubt that Infamous JeanClaude should be there in the flesh. Watch both artists as they prepare themselves and their works for this show via the Soulful Madness blog. Infamous JeanClaude "Fancy the Hate"
We have had a wonderful week-long exhibit so far in Brooklyn. We've got to thank THELOVEINUS for kicking it off nicely at the opening party last Thursday. Saturday night was out of control with the RECONSTRVCT event- massive turn out and really lively party. The "Sub Culture: Visions of Sound" exhibition was a sensation with no exaggeration. This installation turned out to be quite large, taking up the entire top floor, and part of the basement, and was keeping eyes entertained all night long. After Thursday, these pieces will be taken down, along with the "Infamous JeanClaude: Road to Sweden" show. Please make sure to email us or leave a message at the venue if want to purchase a piece, and if you've already paid, please contact us before next weekend to pick up your new art! So, we've got one final event for y'all. This Thursday from 7:00-9:00pm, Cloud Instrumentals will be in the space performing a live set to celebrate the art and support Infamous JeanClaude, whom he has collaborated with him on a few albums covers. Please come out and support Lifted Lab + Infamous JeanClaude! This will be the last chance to see the art before we take it back down South. Much love, Brooklyn! One of the biggest announcements of 2011 came to us recently: INFAMOUS JEANCLAUDE will be showing in his first international gallery this December. Galleri Diana in Upsalla, Sweden will be hosting the "Soulful Madness" exhibit as their final show in 2011, which will be a collaboration between German artist, Amara Por Dios, and Infamous JeanClaude. 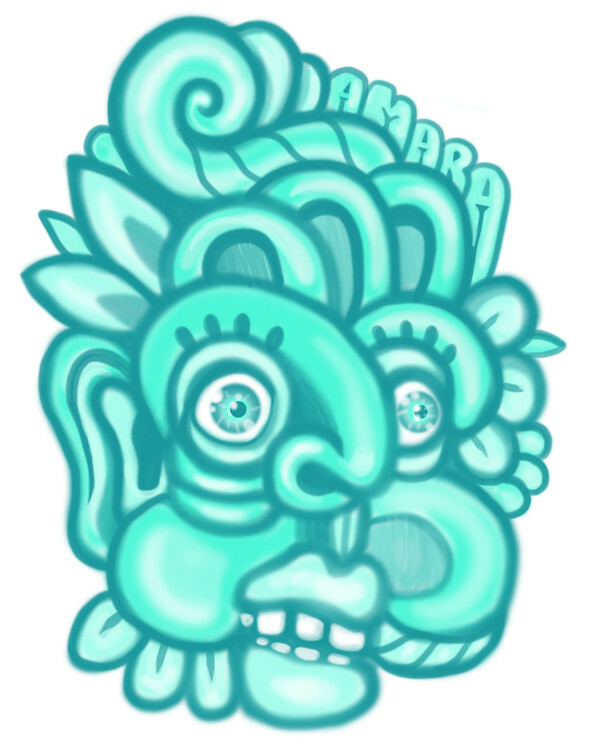 Amara Por Dios is a PYT BAMF. Her colorful characters and aerosol Aztec-esque creations will be well-suited counterparts to Infamous JeanClaude's urban illustrative symbolism. We anticipate the "Soulful Madness" show to be full of fun, high energy pieces. Future fresh and positively funky, y'all. Amara, we can't wait to meet you, mama! Keep crushing. Check her blog to see recent pictures from Art In The Streets, an International graffiti and street art festival held in Stockholm. To raise funds for travel expenses and art work shipping costs, Infamous JeanClaude has opened a Kickstarter page where supporters can contribute donations that go directly to helping this art show come together. Until October 22, the page will remain up with intentions of raising the $3,000 goal mark. The Kickstarter website only donates the funds for the project if the goal amount is reached. So, please, help us reach our goal and spread the Lifted Lab movement overseas. Please stay tuned in for more details to be announced about our journey. Announcements for some "Road To Sweden" fund raising events happening in New York City and the Southeast will be made this week.